You are currently browsing the tag archive for the ‘traveling with autism’ tag. Figure out what you love to do and then be persistent at getting your kid to do it too. This mom is an avid cross-country skier, and she did not want to give that up just because her son was severely impaired with autism. She spent two years pushing him up snowy hills and holding on to him as he went down the snowy slopes. Eventually he got it, and now the whole family cross-country skis together regularly. It won’t get any easier if you wait. This, too, was good advice. We took him on that flight, and he’s been traveling with us ever since. Hotels were difficult at first — I have vivid memories of packing up and checking out at 3:00 one morning because we knew he’d never get back to sleep — but now hotels are one of the best parts of traveling for him. Joseph is pushing the limits himself now. He nagged me incessantly to go ice skating recently. 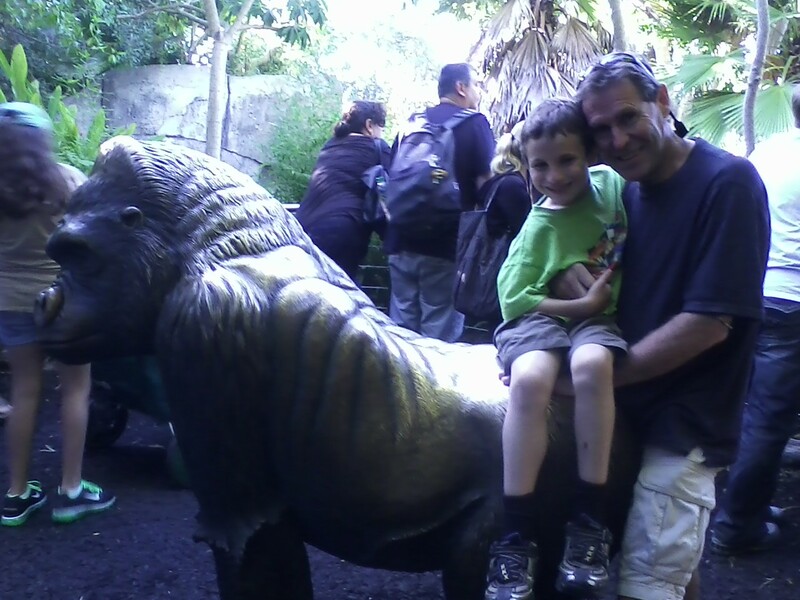 When you’re dealing with autism, anything different is good, so off we went. The rink was great because you could stack up buckets and hold on to them as you skated. It was a perfect first visit, and we’ll go again sometime. 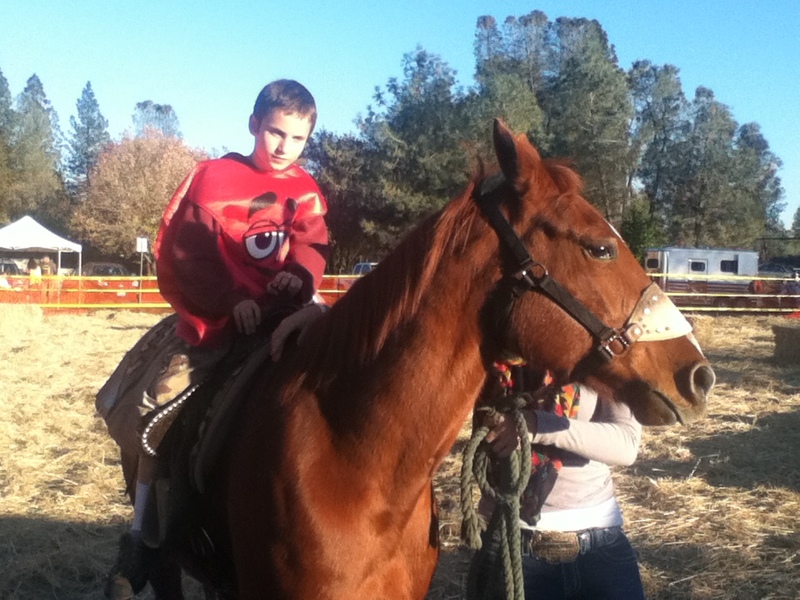 He hopped up on a big horse on Halloween and rode around as bravely as any other kid. A huge step for Joseph. After six years of trying, after six years of being terrified that he might fall, last week Joseph finally rode his bike all by himself. Oh, he was so proud and happy. He even fell a few times and realized that he didn’t die. Now, as winter begins to whisper in the wind, Joseph is talking about skiing. Our 23 year-old nephew is visiting from New Zealand, and he is a very enthusiastic skier. Then we have Joseph’s friend DJ who, with his family, is way into skiing – so Joseph’s getting influenced on all sides. The guys went to a ski sale yesterday and bought used ski gear for the whole family. So I guess we’re going skiing. When Joseph was five, I watched friends put their five year-olds into ski lessons and thought that Joseph would never be able to do that. He’d scream. He’d panic. It’d be too strange, too unusual for him. He didn’t have any sense of balance. He’d fall a lot, and he was panic-stricken about falling. Amazing what a difference a few years can make, because now he is ready. He put on his skis, poles and boots this afternoon and “skied” on our lawn. “See? I’m good at it already!” he said to me. The path to God takes many forms. St. Francis courted Lady Poverty, early monks went for suffering (self-flogging and other such pleasantries), many aspirants fast, and yogis retire to their caves for years of silence and seclusion. Well, I’ve got one that, as far as I know, hasn’t yet made the list. But it should, it really should. It’s the Path to God through Embarrassment. Wait — don’t touch that mouse until I explain. You see the photo here? This is Joseph, as happy as can be, sitting at Starbucks and just starting into his caramel apple cider. Earlier I’d picked him up from school and explained that I needed to stop at the grocery store. Sometimes this brings a storm of protest, as the sensitive boy has had enough of people and needs to lie low. But this time he readily agreed, and off we went. I marveled at his ready agreement, and then I marveled still more when he started singing to a new CD I’d bought. He never sings along to music, so this indicated a surge in development. Yippee! I thought. Life is good. 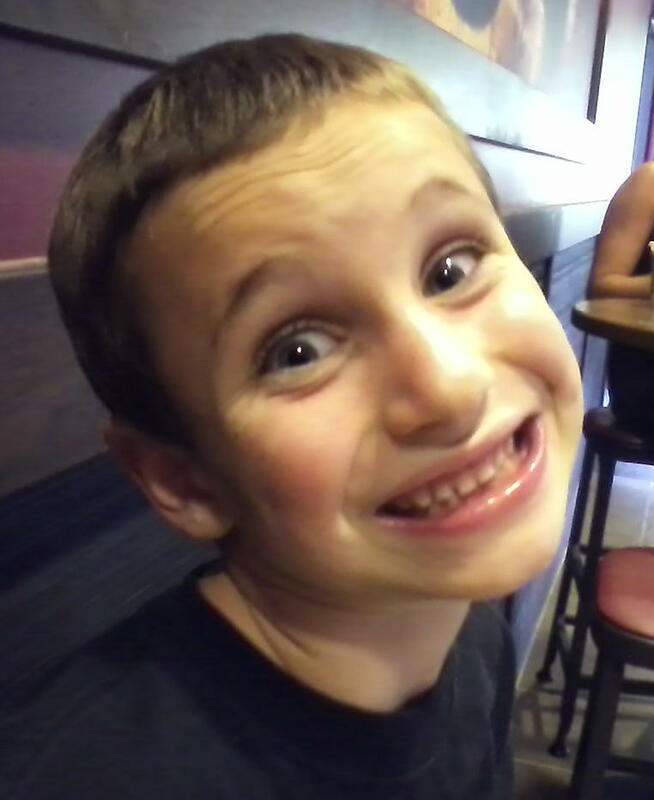 Then, instead of wanting to go home, he asked to go to Starbucks afterward! Life is great, I thought. We interrupt this narrative to state that people with autism often have a very difficult time when they make a mistake. I have no idea why. Joseph has gotten better about his goof-ups through the years, but we still deal with it. Back to Starbucks. This happy photo was taken mere seconds before the top fell off of Joseph’s cup, spilling a full glass of warm, gooey caramel apple cider all over my purse and all over the floor. Joseph started to yell. Extremely upset, he continued to yell. As he took in the full extent of what had occurred, the volume increased to full-blast yelling. Hanging around Joseph, it is not such a rare occurrence to have Everyone Look. It happens maybe once every two or three weeks. You’d think I’d get used to it. But here’s the thing. A few decades ago, I longed to be good friends with a woman I knew. She, however, scorned my initial attempts at friendship. It was only much later, when we’d managed to actually become good friends, that she confessed her reasons for putting me off: she thought I was too together. I always looked composed, I dressed nicely, I was fit, and — this was the example she used — I could bring a batch of homemade cookies to a party and not eat even a single one. This, ladies and gentlemen, this is what Joseph brings to me: a general announcement that neither he, nor I, is all together. And, since we live in a small town, you can’t go anywhere without running into someone you know. At Starbucks today, we saw Andi and her father from swim class, as well as that nice man who takes his kid to the same school as Joseph and who always says hello to me. They were part of the Everyone who Looked. Add three more people to the list of those I know who are now absolutely certain that I am not all together. Isn’t this great? Can you see how God lies at the end of the Path to Embarrassment? Who needs to fast or pray or self-flagellate or go into silence when she has Everyone Looking at her? This morning, in my meditation, I had just finished my preparatory techniques and was letting go into stillness when I noticed that an insect had bitten my thumb. I got that itchy, stinging sensation and I noticed the irony. What do I do now, I wondered, put my attention where it wants to go, on my painful thumb, or try to draw my energy back into the stillness? Ultimately I had to settle for a little of each. And so it is. God lies in the embarrassment, God lies in the developmental surges, and God most especially lies in the ego having no pride left to hide behind. I have a large, lovely, crazy, wonderful extended family. When we get together for the holidays, there is usually around 30 people. ‘Most everyone is happy to see everyone else, and there is lots of conversation, laughter, and catching up. In any gathering like this, you can see that some people get more easily overwhelmed than others. You can find a brother-in-law sitting alone reading, or a teenager lying on the couch listening to her ipod. But what do you do when your kid is really, really sensitive? And shy? When s/he gets overwhelmed very quickly? And doesn’t know how to fit in? We managed to avoid most of these difficult questions this year, because we missed Thanksgiving. We were in Maui. But when we came back, I started to miss my large, lovely, crazy, wonderful extended family. So we called my older brother, Dan, and invited ourselves to his house for an overnighter. I prepared in advance for this visit by listening to an RDI Webinar that gave tips for holiday visits. One of their strategies was to make sure that the child with autism had a quiet place to retreat to. Hearing that was a real “Ah ha!” moment for me. You see, my younger brother, Aaron, has two lively young girls. As much as we love them, when we’ve stayed there I’ve seen Joseph get very withdrawn. He gets w-a-y overwhelmed and there is no private, quiet space for him to recover. He always sleeps badly. I haven’t known how to explain to Aaron why we can’t stay with them, but now I have the words: Joseph needs a quiet place to retreat to. Dan and his wife, on the other hand, have kids who are grown and gone. So half of their house feels like a peaceful sanctuary. Another plus is that Dan has a dog. Normally the mere presence of a dog would make the whole visit unthinkable, as Joseph is terrified of them. 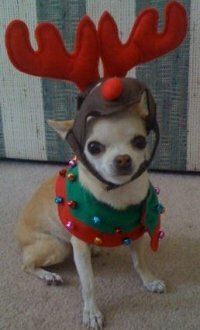 But this is no ordinary dog: this is a chihuahua. All four pounds of her. Because she is so tiny, Joseph is not really scared of Randi. Randi is the one and only dog in our acquaintance who has this distinction, so it is no small thing. She is a great practice dog for us. The RDI Webinar said to find roles for Joseph as much as possible, as it’s not always easy for people with autism to know what to do — how to fit in — among other people. So I got him involved in drawing and then giving the drawings to people. When it was dinnertime, he helped with table setting and various other things. It worked really well. And then he slept beautifully. Yesterday there were only the five of us, and then this morning two of Joseph’s cousins (the grown-up kids) arrived. At first, Joseph kept his distance. But eventually he felt comfortable enough to join us at the kitchen table. 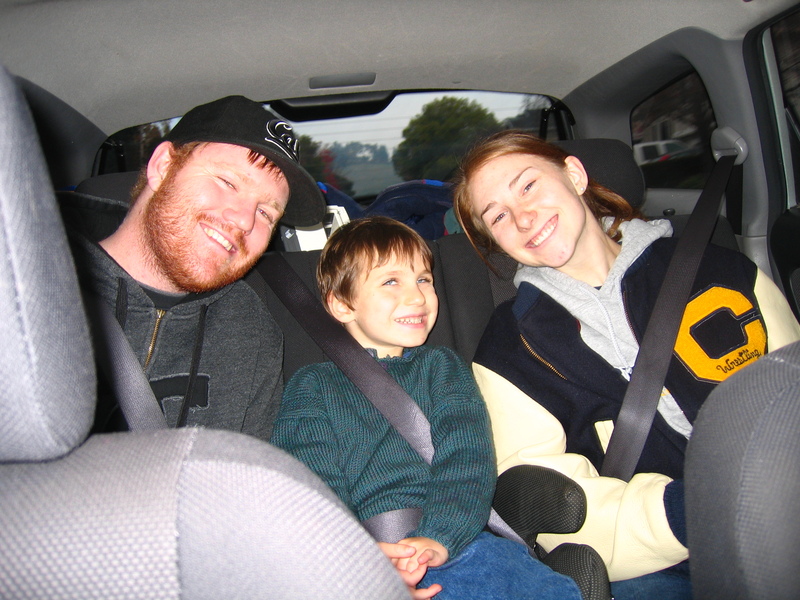 Later, when it came time to go out, he requested that his cousins ride in our car, one on each side of him. This was big. When they first sat beside him, he covered his eyes (he is both autistic and shy. I don’t know which was happening there — maybe both.) But slowly the hands came down and he connected, smiling and talking with them. So there it is. Nothing monumental, but these small steps in connecting are huge steps for Joseph. My hope is that, as Joseph makes these connections with members of his extended family a bit at a time, it will eventually be easier to be with more of them at the same time. Joseph isn’t the only one in our little family who needs a quiet place. That’s one of the main reasons I meditate. My teacher says to create a portable paradise of peace within, and I don’t know what I’d do without that peaceful place. Since Joseph was born to parents who meditate, we will, when the time is right, teach him to do it as well. So perhaps he’ll learn to access the peace that passes understanding within his very own self. Wouldn’t that go a long way in being able to stay centered and unshaken in crowded gatherings? We wouldn’t have to stay only in houses with quiet places when Joseph comes from that quiet place inside. It will be interesting to see what happens when Joseph learns to turn inward for his solace — to turn to God for the calmness, peace, and serenity he needs. I find it absolutely invaluable to live my life (as best I can) from the inside out, where my internal world defines my external world. It gives me much more serenity than living from the outside in, where what’s happening externally determines my level of serenity– or, more often, my lack thereof. So what will happen when Joseph learns to live from the inside out? What will happen when autism meets yoga? Stay tuned, dear reader, stay tuned. I have an ongoing love affair with the Hawaiian islands. They have captivated my heart ever since my first visit at 18. I’ve been to Hawaii as a tourist, a backpacker, a honeymooner and a mother-to-be, but never before as a mother of a special-needs child. The last time we went to Hawaii my belly was 6 months swollen. We knew it would be our last real vacation for who knows how long, so we milked it for everything we could: lots of snorkeling, going to the movies and out to dinner, lying on the beach, and reading books uninterruptedly. Since then, I have pined for the islands — the fresh winds, the warm ocean, the lush jungles, the whales and turtles and tropical fish, the relaxed atmosphere. So when some friends offered to let us housesit at their place in upcountry Maui, we jumped at the chance. We are even missing Thanksgiving, and, trust me, my extended family is not pleased with us. But having an autistic kid is a huge challenge financially, and the opportunity to do Maui on the cheap (bonus miles air tickets, even!) was too irresistible to pass up. I consciously tried not to lean on old memories of Hawaiian vacations. I reminded myself that Joseph has trouble adjusting to new people and new places, and that this would not be easy on him. 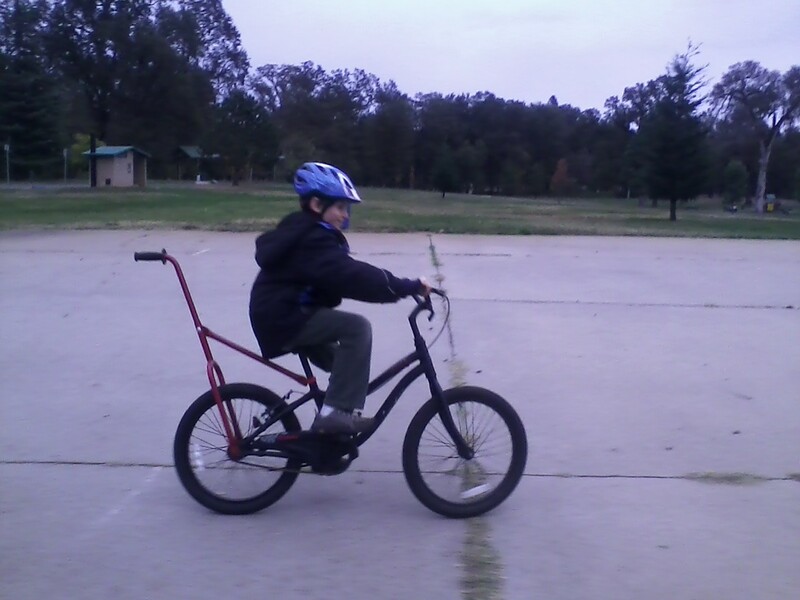 I knew I would see other kids his age doing things with enthusiasm and joy, whereas he would be timid and withdrawn. 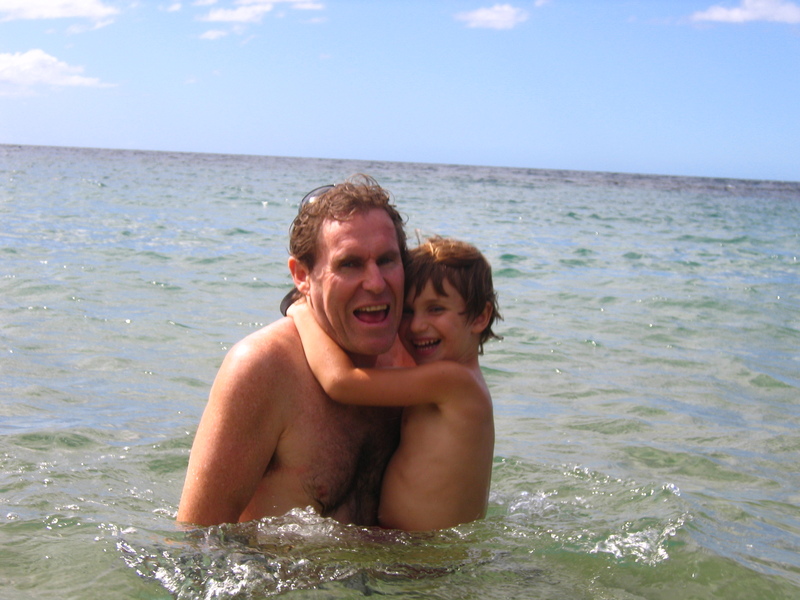 But, try as I did to steel myself, I wasn’t prepared for being in Hawaii with autism. Parts of it have been okay – good, even. Joseph has surprised us in his willingness, happiness even, to hike long distances along rather difficult trails. He has some sensory defensiveness going through overgrown places – God forbid a fern should brush against him – but, overall, he copes pretty well. Staying in one place has been a real blessing. After the first couple of days, Joseph was quite comfortable in the house. It’s quiet and peaceful here, and that has made a real difference to him. The beach has been hard. For some reason, Joseph has always had trouble with the beach. He just doesn’t know what to do at it. He’s somewhat frightened of the ocean, so swimming is out. Unless we set him up in a role – “Joseph! 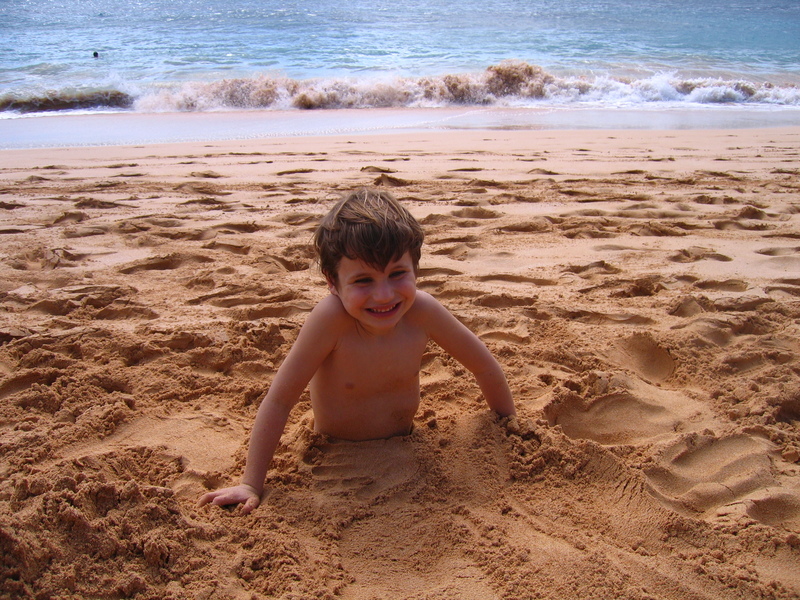 Let’s build a sand castle!” – he resorts to doing his strange autistic dance with sudden, sharp movements, and singing the Pirates of Caribbean song over and over again. People look strangely at him. It’s embarrassing. Blue Eyes signed up to finish his scuba diving certification here, which meant that, for two days, Joseph and I were on our own. I had the bright idea of us going to Lahaina with Blue Eyes for his 2nd day of diving, and staying at a resort. This way, Joseph and I could play in the resort’s pools during the day, and Blue Eyes could join us when his training was over. So we splurged and went to one of the more fancy spots for a night. A beautiful, lagoon-like pool snakes around, inviting you to swim, relax and enjoy yourself. But Joseph didn’t receive the invitation. Joseph and I spent the morning with me trying to get him comfortable enough to enjoy the wading pool. He resisted. I resisted him resisting. He felt incompetent. So did I. A good time was had by everyone but us. We finally retreated to our hotel room, where Joseph said he wanted to spend the rest of the day. It was 1pm. I railed inside. Here we were in Maui, having spent a lot of money to be at this fancy resort, and he wanted to just stay in a hotel room? And play with his trains? Ok, I reasoned to myself, let’s give him an hour. He needs some time to chill. I turned on the TV and watched Seinfeld while Joseph played. 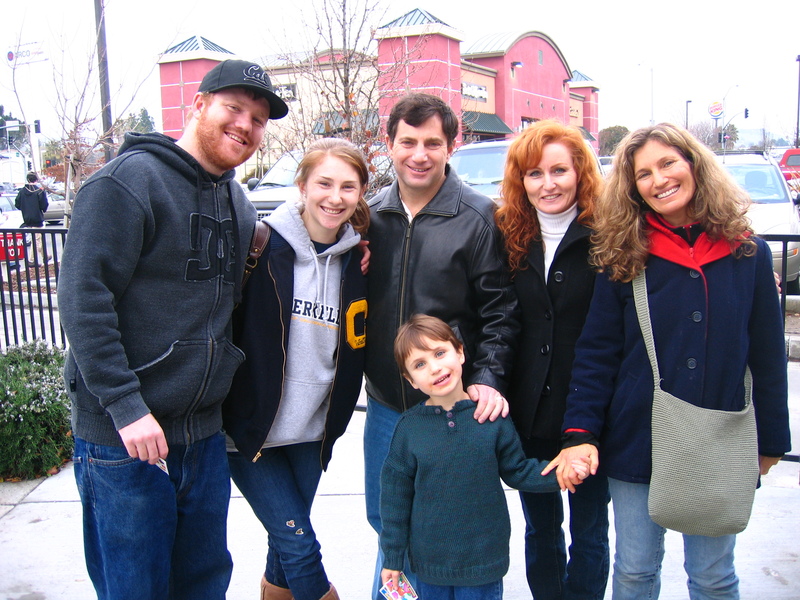 Seinfeld was funny; I laughed – I needed that – and started to let go of my judgments of Joseph and my resistances to being on vacation with autism. It wasn’t how I wanted it to be. But, I asked myself, was I going to base my happiness on whether or not life was behaving the way I wanted it to? Or could I choose to be happy, content, with what was being given — and not given — right now? As I got more grounded and centered in my heart, I was able to turn off the TV and be present with Joseph. I was able to love him for who he is. We sat on the patio together while he ate a snack. I looked at him, feeling the love in my heart. 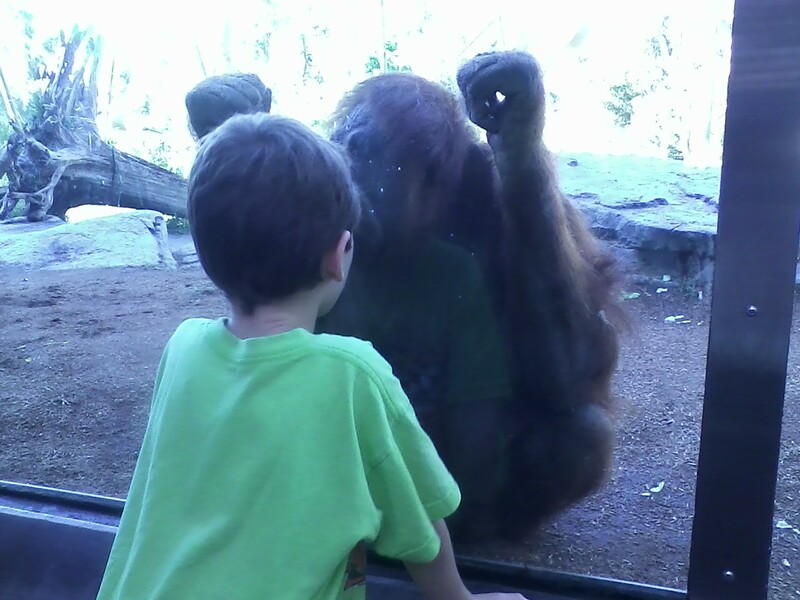 He looked back; we communed deeply with our eyes. Then, suddenly, he chanted a long “Aaauuuuummmmm” and, still chanting, placed his palm on my ajna charka at the spiritual eye. He held it there for about 30 seconds before taking his hand away and smiling at me. He’d never done that before, and I don’t know where he got the idea to do it. But it lifted me to a new place, where I realized anew that this is a great soul acting out a role. And that this is a role he has taken on as much for me, for my growth and learning, as for his own. I’ve always loved the Sanskrit phrase smritti, meaning divine remembrance. That little act of Joseph’s has reminded me to look beyond the surface of this life – to see that the embarrassment, the resistances, the heart’s contractions – the messiness of life in general when you have an autistic child – are all leading to a place of openness, strength and ego-unraveling. A place where the channel of love can flow more freely and more fully. 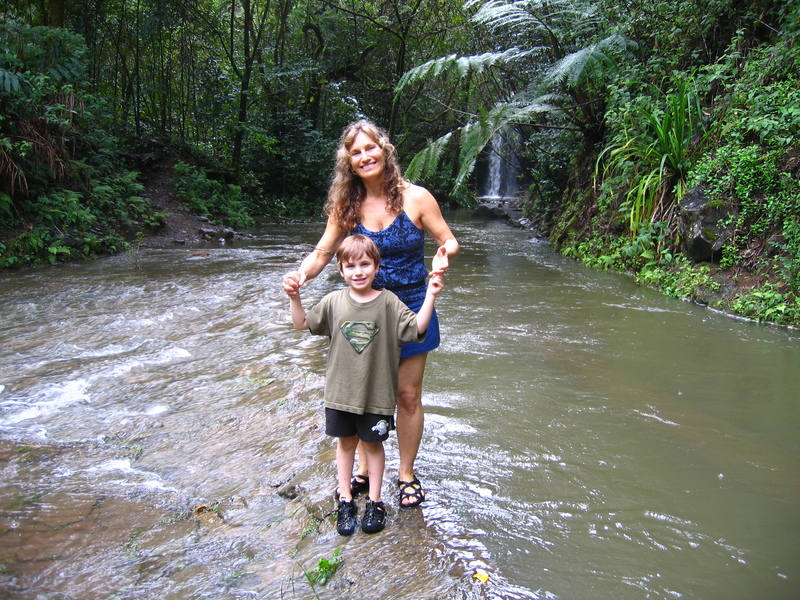 So, yes, on the surface we are simply – and frustratingly — on vacation with autism. But just as diving beneath the surface of a warm Hawaiian ocean allows one to become aware of a whole different world, full of wonder and harmony, we also have the invitation to experience our vacation in a vastly different way. This is one invitation I don’t want to pass up. Later that afternoon, we made it back to the pools. More on that in my next post.